Yesterday, Jason Lee turned 48. As a very special present, Jacob Rosenberg dug up the raw footage of a trick that he filmed of Jason for Blind’s Video Days  and uploaded it to Instagram. Even more magical than seeing Jason’s process is reading Jacob’s caption—which contain poignant insights into the session. Check it all out below. 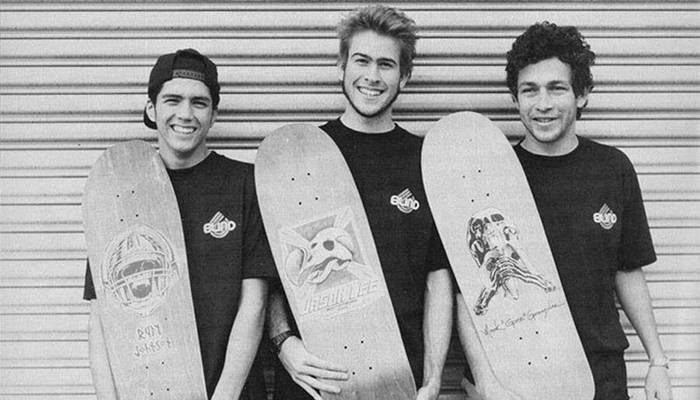 First off, Happy Birthday to the legend Jason Lee. I am so proud that he represents skateboarding, and is a creative soul that continues to express himself in so many beautiful ways. Keep pushing Jason! I was inspired to dig up a trick I filmed of Jason that ended up in Video Days and then share some thoughts. Lately, when I am going through footage I am very interested in the bails and the dialog I had with the skaters while I am filming. I like seeing the progression of the trick and the small nuances that start to click as the skater gets close to making it. I also like to process how annoying or supportive I was. This session at Kenter in Santa Monica from Christmas break 1990 / ’91 has so many details that I could go on about, but I will keep it focused to Jason and this trick. This was my first time filming Jason and Mark. I had a history with Guy, Rudy, and Gabriel. So I had access to this session through them. I was definitely nervous to film with Jason and Mark and so I never turned off my camera during the entire session. I just let it record. There were a lot more tries than this, but the first two tries, and the last three tries are exactly in the order on the tape. The end, for me, is the gold and I am sure many filmers will appreciate it. I ask Jason if he wants to move on sensing he’s frustrated or over it and he says, “Sure.” Watching it now, I don’t think he was even listening to me, but the very next try after colliding with Rudy, he puts it down. That is how so many makes have happened when I go back to the raw footage. The skaters let go or are over it, and it happens. This trip changed my life in many ways, but it was my skateboard, my passion, my camera and my relentlessness that gave me access to this world. My gratitude to Mark, Jason, Guy, Rudy and Gabriel is limitless because they were the guys who invited me down and away from my home and made me feel a part of something for a brief but now, endless, moment. RED BULL’S THIS IS LIVE X DROP IN TOUR 2018 — Watch Here at 4:00 p.m. PST!